FBI Probe of NYPL Thefts Leads to Reclusive Collector With Rare 1869 Reds Card; How Many Peck & Snyder’s Exist; When Were Earliest Sales? The reverse of the 1869 card sold in Iowa in 2003 bore the ownership mark of the NYPL that was revealed under examination by the FBI in 2012. 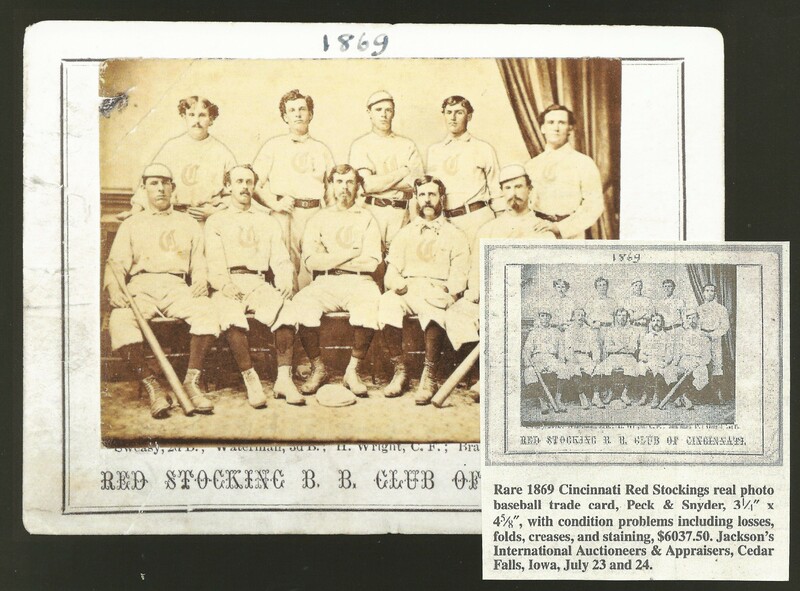 After identifying a rare 1869 Peck & Snyder trade card of the Cincinnati Red Stockings as having been stolen from the New York Public Library’s famous Spalding Collection, Federal agents have tracked the relic back to a deceased postcard collector whose estate was sold at a 2003 auction in Cedar Falls, Iowa. The card was the most expensive item in the collection of Abe Samuels, formerly of Greenwich Village in Manhattan, and sold for $6,037.50. 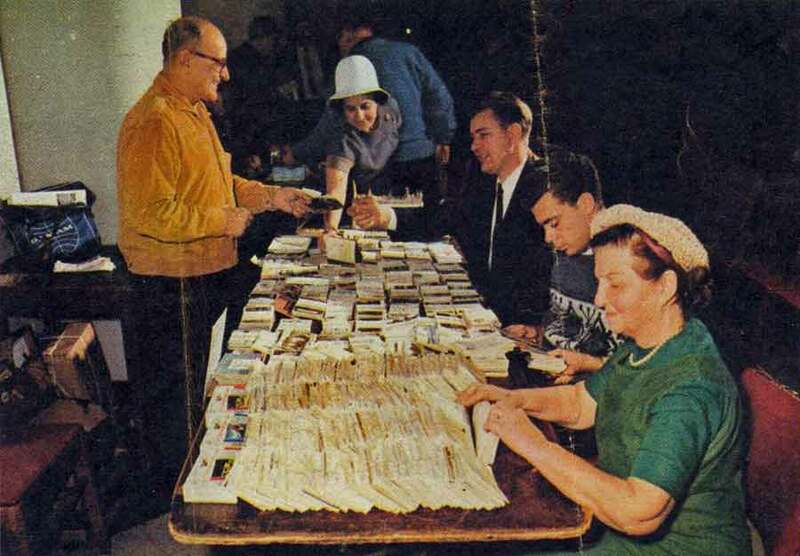 When Legendary Auctions offered it at the National Convention auction the card was estimated to sell between $40 to $50,000. Although it was confirmed that the card was NYPL property, the auction house was instructed to send the card back to the consignor who has since dealt directly with the FBI. According to Jackson, the rare trade card featuring the 1869 team and bearing the remnants of a defaced NYPL stamp was the only high-end baseball item in Samuels’ collection. He could not recall how many other baseball-related items were in the Samuels sale. Jackson also revealed that he had recently spoken to an FBI agent who contacted the auction house inquiring about the rare card. The agent told him how the NYPL stamp was illuminated under ultraviolet light at the National Convention in August and how the card was withdrawn from the sale. Jackson told us that the original buyer has not approached the auction house to request a refund or restitution, which would likely come from Samuels’ estate. Haulsofshame.com contacted the Metropolitan Postcard Club to find out more about Samuels and his collection and the dealers he frequented, but they did not respond to our inquiry. Novick, a prominent postcard collector and dealer with over 250,000 items in his own inventory told another story about how Samuels collected. ”Back when I was a neophyte in the 1970s I bought a group of postcards by the artist Mucha and Abe offered me $40 for them. After I sold them to Abe, another guy offered me $40 for each of the cards. I called up Abe and said, ‘Nice deal you got there?’ Abe felt bad and said he’d make it up and take me out for dinner for Chinese in the city. Some other club members laughed and said I was probably the only person in the world who Abe ever invited out to dinner.” Many years later Novick paid $15,000 for just one of Mucha’s Art-Nouveau postcards. Novick said he was not familiar with the most valuable item in the collection of the recluse, but confirmed that Samuels had many other baseball related postcards in his collection. “Abe had something on every subject,” said Novick. The Peck & Snyder Red Stocking card is one of the most desirable and rare issues and considered by many the first commercially produced baseball card and rarer than the well-known T206 Honus Wagner. The New York Public Library has two examples of the card pasted into the scrapbooks and score-books of Henry Chadwick and two other copies that are believed to have been owned by Harry Wright (one of which was already stolen and recovered by the FBI). When the copy owned by Samuels is returned they will have five in total minus one more example still missing. That copy was used in an illustration in Harold Seymour and Dorothy Seymour Mills’ 1960 book Baseball: The Early Years, and is still missing. Aside from the NYPL copies and at least one copy known to be part of the Baseball Hall of Fame’s collection, the earliest sale we could find in hobby publications was a 1980 offering in The Trader Speaks. 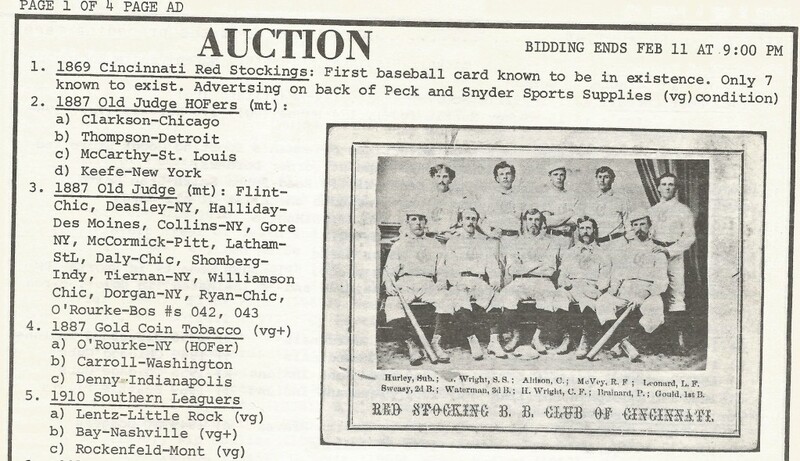 This P&S Reds trade card appeared in a 1980 auction in The Trader Speaks conducted by the Sports Corner in Paramus, NJ. The sale is one of the earliest offerings we could document for one of the thirty-five known examples of the card. It is not known what that card sold for but it did appear for sale again in 1995 at the National Sports Collectors Convention auction conducted by Bill Mastro’s “Best of Yesterday.” Interestingly enough, the lot description for that card noted that the, “Peck & Snyder advertising back has some deliberate places of unexplained wear.” The card had a reserve of $6,500. Based upon our research we’ve documented the existence of at least 35 examples of the traditional Peck & Snyder Red Stocking trade cards which appear to have been created and sold to the public and wholesalers from late 1869 through 1872. 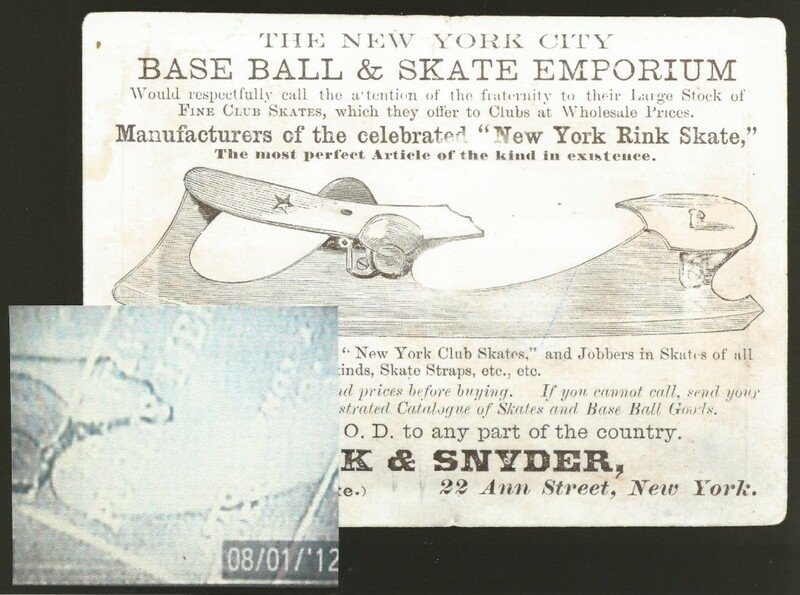 The example stolen from the NYPL was the rarer version of the card issued in late 1869 and early 1870 with a P&S ice-skating advertisement on the reverse. Very interesting story about Abe Samuels to go along with this missing Peck & Snyder baseball trade card from The New York Public Library.